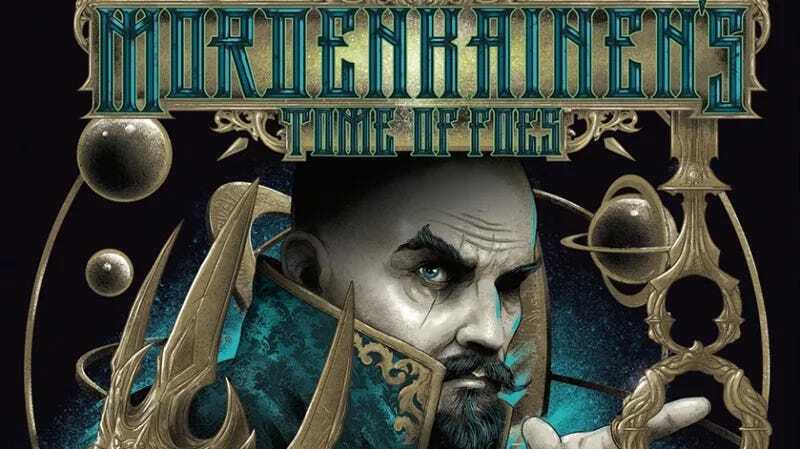 Earlier this week, Wizards Of The Coast published its latest Dungeons & Dragons sourcebook, the monster-filled Mordenkainen’s Tome Of Foes. As is standard with a new D&D manual of monsters, it’s full of all sorts of new creatures, ranging from hideously dangerous to relatively benign. One of its most unsettling new additions to the tabletop institution’s vile lore, though, has an especially interesting origin: It was conceived by a Make-A-Wish recipient who visited the design team’s offices some time back. It’s both super-gross and wonderfully paranoia-inducing—”Why won’t that pleasant tavern keeper turn around so you can see if he’s actually got a slime tether, huh? !”—and we have to hope that whoever Nolan’s DM is, they’ve granted him a billion inspiration points for bringing a little more screwed-up sci-fi weirdness to the D&D world.